If a linked list has a cycle then no node has a null as next pointer. A simple loop exists when p1.next.next !== null as shown below. 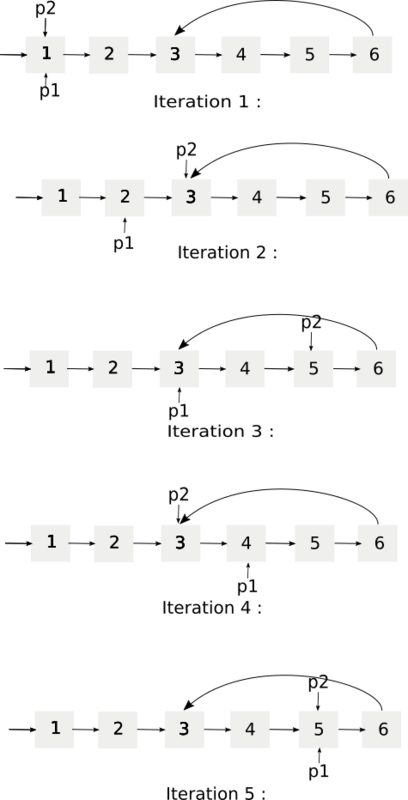 While iterating over the linked list we need two pointers, p1 increments one node at a time and the p2 increments two points at a time. If both the pointers meet then the loop exists. Watch the following video to understand the Floyd’s cycle-finding algorithm! 227 queries in 0.189 seconds.